Boy meets girl, and girl meets boy. They sing & dance and fall in love in the exhilarating new movie musical "La La Land." 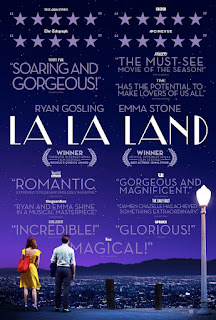 The boy is Ryan Gosling and the girl is Emma Stone; and the background is modern day Los Angeles, the city of dreams. Emma hopes to make it as an actress, and Ryan wants to make the world appreciate jazz music. Director Damien Chazelle won attention in his previous film, the thrilling behind-the-scenes drama with music "Whiplash." His new movie makes his talent clear. "La La Land" opens on an LA freeway traffic jam, which turns into a highway full of kids singing & dancing and embracing the day. This is the kind of thing that makes you forget your troubles. "La La Land" would make Gene Kelly and Fred Astaire proud, as it captures the spirit that made the classic song & dance movies of the 40s so appealing. The movie tops it off with scenes that take your breath away, such as Emma standing in the light of a movie projector looking for Ryan in an old-time theater. A visit to the Griffith Observatory replicates "Rebel with a Cause," and morphs into a ride up a stairway to paradise. "La La Land" goes beyond nostalgia with the help of a contemporary touch and a sure hand. Watch it on a big screen with someone you like a lot. 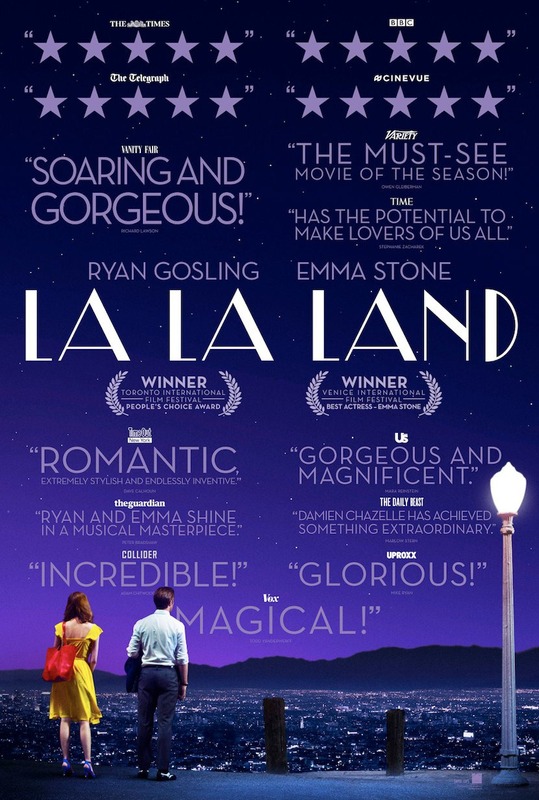 "La La Land" - 4 Stars, PG-13. Does it deliver what it promises? Song, dance and romance. Is it entertaining? A delight. Is it worth the price of admission? The movie of the year.